Attracting customers in 2016 takes many forms--and platforms--sometimes all at the same time. Here are a few tactics franchise brands are using to drive customers into their stores, keep them there, and reward them. Drive them in. Earlier this year, to generate buzz about a new menu item, a Jack in the Box campaign combined several channels and media. The brand's integrated campaign, announced in a Super Bowl ad ("Crossing the Delaware"), played up its offer of 1 million free burgers. 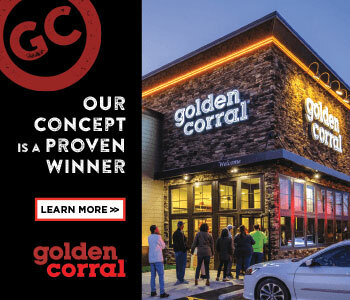 To cash in on the giveaway, consumers had to visit the company's website, sign up for a mobile coupon, and, of course, visit a restaurant to redeem the coupon (printed or on their mobile device)--and, hopefully, buy something else while inside. The coupon was good for one Double Jack (the new menu item) or a Jumbo Jack Burger. On January 28, a lead-in to the Super Bowl ad featured a group of Instagrammers snapping photos of the new burger at a Foodbeast event (#DeclarationOfDelicious). The brand also used the million-burger giveaway to promote upgrades to 29 menu items. The promotion was set to last a week or until 1 million burgers were given away. Fly them in. Bob Minkert, a 16-year franchise veteran who operates Mr. Rooter Plumbing and Mr. Electric franchises in the Atlanta area, should win some kind of award as a local marketing innovator for an idea he came up with to attract attention to his businesses: an airship. (Unlike a blimp, which uses helium to stay aloft, an airship uses hot air. His has a gondola for a pilot and 3 passengers.) According to Airship over Atlanta, it all began 8 years ago in Atlanta when Minkert was stuck in traffic because drivers slowed down to look up at a hot air balloon floating above the highway. After a couple of years of researching local possibilities, he flew to Germany to learn more about airships, including how to bring one to the U.S. and train pilots to fly it. Today he's working with area organizations to maximize local use of the airship--nearly 150 feet long and 41 feet wide, and emblazoned on one side with the bright yellow colors and logo of Mr. Electric, and on the other with the bright red colors and logo of Mr. Rooter--along with phone numbers and pricing information. Floating since 2013. Keep them in. Restaurants have tried everything to draw customers into their stores... or have they? While some food and beverage establishments have struggled with Wifi-ers who buy a small coffee and camp out at prime tables during peak times, Schlotzsky's is taking a different approach. At its new location in Jacksonville, Texas, which opened in January, the brand is providing wireless charging stations for its guests to keep their mobile devices up and running. Jacksonville is one of the brand's first units to offer wireless charging stations, a service Schlotzsky's plans to roll out in all of its new and remodeled restaurants. The company claims it's the first fast casual restaurant chain to introduce wireless charging stations at the national, system-wide level. Reward them. Rewards and loyalty programs have really taken off recently, with technology playing a transformative role in helping brands move from punch cards to mobile phones and everything in between. And increased competition from the growing number of vendors in this field is spurring continual innovation. Short version: loyalty and rewards programs are easier to use and better than ever for both customers franchise brands. And as brands compete to grab mind and market share from one another, rewards programs also have triggered a new level of competition among food and beverage brands themselves. In April, for example, when Starbucks revamped its rewards program and ran into a wall of negative reaction from its customer base, Dunkin' Donuts quickly jumped into the fray, touting the benefits of its own rewards program, DD Perks, along with a new mobile phone app and incentives to use the DD card in April and May. Then there are gift cards, which make an ideal gift not only for customers, but also for retailers: they not only introduce new customers to a brand, they also bring the regulars back more often in the hope they'll spend more than what's loaded on the card. In January, working with rewards program vendor Paytronix, Zaxby's upgraded its gift card program to make it both simpler to use and simpler to manage. "The upgraded gift card offering reduces the time teams spend reconciling and accounting for gift card sales and redemptions while providing merchants with further opportunities for generating gift card sales--through virtual gift cards, third-party retail sales, and promotional ingenuity," said Kristen House, gift product manager at Paytronix. Then there are all the unused gift cards, but that's another story.